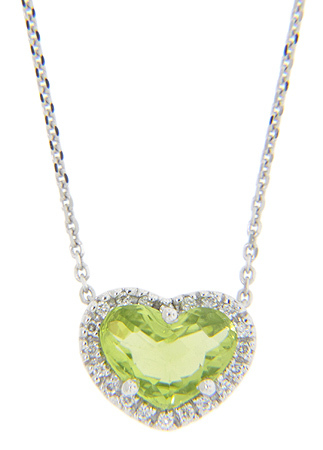 A ring of faceted round diamonds surround the heart shaped peridot on the pendant of this 14K white gold antique style necklace. The pendant measures 1/2" in width by 3/8” in height. The chain on which it rests measures 18” in length.